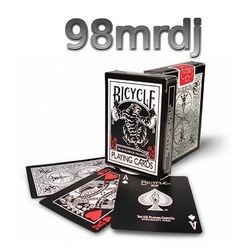 This website is where you'll find all of 98mrdj's videos, and his latest video on the front page. Different pages will have different types of videos. There is a page which shows all of his equipment that he uses in his videos. There is also a page where you can send anything to him that you want! (eg. your videos or just sending him a message). There is also a Google Custom Search box on each page where you can type in stuff about magic (example: card tricks, coin tricks) and it will give you Google search results for it. You can also search for my channel and videos in that search box.